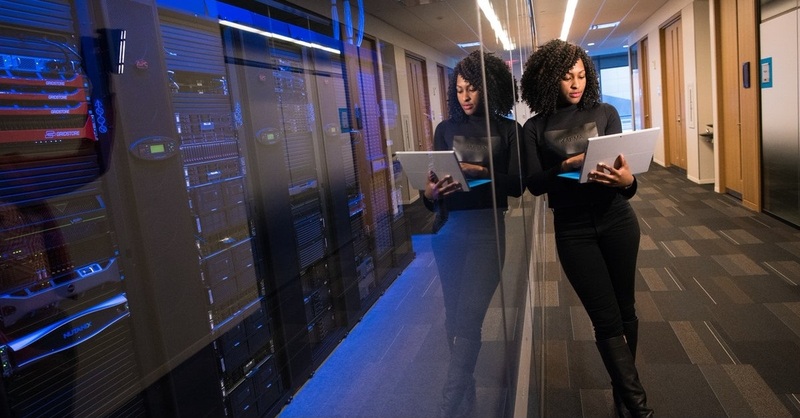 When it comes to developing your business’ data storage infrastructure and network connections, you have numerous choices when it comes to where to host your company servers. If you decide to own your own network hardware, the choice typically falls between building an in-house data center or placing your company servers inside a colocation facility. While the option you choose greatly depends on the specific needs of your business (and the choice may not always be an “either-or” one), our team at LightWave Networks have outlined a few general advantages and disadvantages of each server hosting solution. In-House Data Center vs Colocation Data Center: What’s the Difference? Before making a colocation versus in-house data center argument, its best to fully understand what those two options mean and why they are different. An in-house data center set up means you have your company’s servers within your company’s office; data is therefore stored on-location. Space inside your office building is reserved and designed to accommodate your servers and additional network hardware. On the other hand, colocation is when you lease server space from a third-party data center for your servers. Your company servers are therefore outsourced and hosted in a location away from your physical business operations. Within a colocation center, server space is rented out by the rack, cabinet, cage, or even suite. PRO: Colocation is often the less expensive option because having your company servers hosted in a shared facility can lead to lower energy, connectivity, and other utility costs. PRO: Colocation data centers typically offer fully redundant power and internet connections, mirrored data centers for reliable disaster recovery, and high-end physical security features like biometric screening included with their colocation lease agreements. CON: If the distance between your offices and the colocation facility is considerable, your IT staff’s physical access to company hardware may vary and may be delayed which can affect regular maintenance and troubleshooting schedules. PRO: The hardware and server space are owned directly by your company, which means you decide when and how to modify, update, or expand it. You have proprietary control over your network. PRO: Since hardware is on site, your staff can conveniently access your physical servers whenever maintenance or troubleshooting is necessary. CON: Your company will have to hire and retain a full internal IT staff to manage and secure every aspect of your in-house infrastructure. CON: The construction and operation costs of building and maintaining an in-house data center can often be higher than investing in colocation. At LightWave Networks, we offer server hosting and colocation in Boston and Dallas at our Tier III Boston colocation data center and Dallas colocation data center. In addition to Dallas and Boston colocation services, we also offer Dallas and Boston cloud backup services as well as dedicated serving hosting. If you want to learn more about our personalized services and affordable colocation pricing, contact us or give us a call at (844) 722-2656. We look forward to hearing from you!